When I was 14 and on tour with a children’s choir in Los Angeles, I was in a house fire. I was staying with a billet who left me and a fellow chorister for dead. We escaped past exploding doors. It was like something out of an action flick. Cheebles was my Dad’s favourite when I was young (no clue why). These days Irms is the more appropriate but terribly boring nickname of choice. Heights. You could offer me a million dollars to jump out of a plane and I wouldn’t do it. Seriously. I’m all about stories with heart, rhythm, and lyrical sentences. Silky in the Magic Faraway Tree. As a child I was convinced that Enid Blyton’s tree really existed, and I would find it. I’d go back to 1995, when I was living in England with my then boyfriend (now husband), and tuck my British passport into my suitcase. For his birthday I surprised him with a weekend trip to Paris. Only in my absent-mindedness I packed my Australian passport. The real surprise was that we spent the night in a detention centre lock-up in Dover because they had nowhere else to put us. Not quite what I had in mind. Damn it, you never figured out how to fly. But how the hell did you become a published writer? That seemed more impossible than flight. My parents. They taught me to believe in myself, discover what I loved, and chase it. So here I am. Chasing. I’ve been writing ever since I can remember. My most prolific year was possibly aged seven. Among other works of literary genius, I recall researching, writing and illustrating The Big Book of Birds, savaging my mum’s magazines to produce expositions on British royalty, and writing a derivative fairy book with too many chapters because I couldn’t work out how to end the damn thing. As a teenager I read the dictionary cover to cover and recorded words I loved for future use. (Yes, I was a total nerd.) I became obsessed with the word ululation because of its onomatopoeic quality and a misplaced belief that it made me sound intelligent and poetic. I managed to find a way to slip it into pretty much everything I wrote. Consequently it is now a word that makes me shudder. A favourite word gone bad. That’s too depressing to even contemplate. My idea of torture. 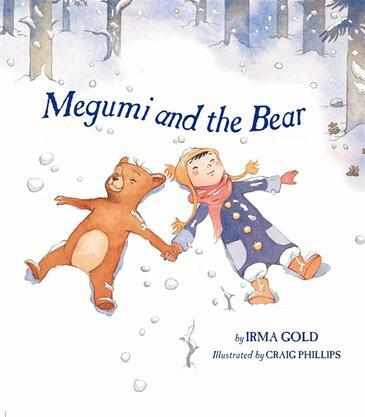 Irma Gold’s third children’s book, Megumi and the Bear (Walker Books), will be launched in Canberra on 15 June and in Sydney on 20 July. 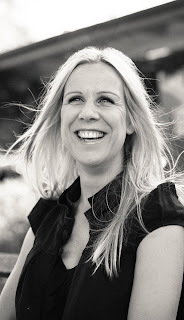 Her website is www.irmagold.com and you can find her on Facebook here.